William Kenley is CEO at Methodist Le Bonheur Germantown Hospital. William joined Methodist Le Bonheur Healthcare in 2003 as CEO of Methodist North Hospital. Since joining Methodist, William has also assumed responsibility for Methodist Fayette Hospital. William graduated with a BS from Radford University, majoring in chemistry and biology. He completed training as a medical technologist in the School of Medicine at Duke University. William holds a Masters in Healthcare Administration from Duke University. William is chair of the Memphis American Heart Association Heart Walk and is on the March of Dimes Board. William attends Germantown Methodist Church where he serves on the Stewardship Committee. William, his wife, Carol, and their children, Jack and Grace, reside in Germantown. William has several favorite sayings, perhaps the most noted being "Failure is not an option". Halperin joined Boyle in 1973 after graduating from the University of Tennessee, where he studied accounting and real estate. He has been active for years in a number of professional real estate industry groups at both the national and local levels. He holds the Certified Property Manager designation from the Institute of Real Estate Management and the SIOR designation from the Society of Industrial and Oﬃce Realtors (SIOR). He is past president of the Memphis Building Owners and Managers Association (BOMA) and is a longstanding member of the Lambda Alpha real estate fraternity. In 2008, he was named Commercial Broker of the Year by the Memphis Area Association of Realtors (MAAR) Commercial Council. He was the 2008 recipient of the Realtors Commercial Alliance National Award from the commercial division of the National Association of Realtors. In 2012, Halperin was named Outstanding Volunteer Fundraiser at the Crystal Awards held by the Memphis Chapter of the Association of Fundraising Professionals (AFP) for his work on behalf of the Memphis Jewish Home. Halperin also has been active on a number of boards throughout the Memphis community and is a founding board member of Triumph Bank. He was appointed by the city and county mayors to serve on the Economic Development Growth Engine (EDGE) for Memphis and Shelby County. He is past chairman of the Memphis Area Chamber of Commerce Development Council. He currently serves on the Board of Trustees of Memphis University School (MUS) and, as an alumnus, has been actively involved with the school for years. Halperin also is a leader in the Memphis Jewish community. He previously served as president of the Memphis Jewish Home and currently serves on its Executive Committee. He is a past president of Temple Israel Memphis, a past board member of the Jewish Foundation of Memphis, and currently serves on the Board of Trustees and Executive Committee of the Union of Reform Judaism. 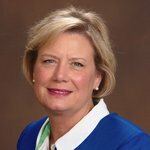 Jean M. Morton is the Manager of the Not-for-Profit and Government Industry Sector at SunTrust Bank-Memphis. In this role, she is responsible for maintaining and developing not-for-profit, private school, charter school, church, foundation, not-for profit medical, and continuing care retirement communities, and municipal clients in the footprint of SunTrust Memphis. These responsibilities include knowledge and expertise in loans, construction financing, tax exempt financing, new market tax credit loans, equipment leasing, municipal leasing, capital markets, interest rate derivatives, investment strategies, endowments and foundations, depository, merchant processing, retirement solutions, and treasury & payment solutions. Jean’s career has been focused in the financial services industry sector. She is a graduate of Lindenwood Colleges in St. Charles, MO with a B.S. in Business/Accounting and a MBA in Business/Finance. Jean and her husband, Nick, have resided in Germantown, TN for the past 24 years, have three children and three grandchildren. 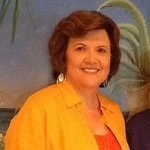 Hobbies include boating and leisure time at Pickwick Lake, cooking, reading, and traveling. Dr. James Harkess is a senior orthopaedic surgeon at Campbell Clinic specializing in hip and knee replacement. Following graduation from Medical College of Georgia in 1982, he completed a residency in orthopaedic surgery at Campbell Clinic and subsequent fellowship in adult reconstructive orthopaedics at New England Baptist Hospital in Boston. He has been on the staff of the Campbell Clinic since 1988 and is an Associate Professor in the Department of Orthopaedic Surgery at University of Tennessee Health Science Center. 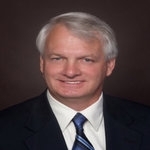 Dr. Harkess is Chairman of the Department of Surgery at Baptist Memorial Hospital Collierville and serves on the Medical Staff Leadership Council. He also serves on the Board of Directors of Select Health Alliance and Baptist Physicians Advisory Council. He has previously served on the board of the Campbell Foundation and is past President of The Society for Arthritic Joint Surgery. 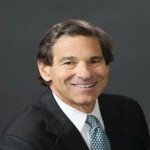 Dr. Harkess is board certified in orthopaedic surgery and has authored numerous book chapters and scientific articles in the field. He and wife Carol have three children and have resided in Germantown for over 25 years. He has been married for over 50 years to his wife Carolyn and they have 3 children and 1 granddaughter. He enjoys fishing and spending time with his granddaughter. Prior to his appointment to Executive Vice President of Finance and Chief Financial Officer of Methodist in October 2001, Mr. McLean was Vice President of Finance of Methodist Memphis. Mr. McLean rejoined Methodist in 1998 after spending six years as Chief Financial Officer at hospital systems in East Tennessee. 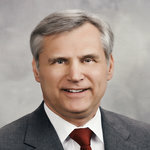 He began his health care career at Methodist in 1984 in corporate finance and returned to Methodist as Vice President of the Mississippi division. 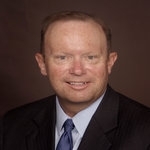 He holds a Bachelor of Science in Accounting from Christian Brothers College (now Christian Brothers University) and a Master of Business Administration from Memphis State University (now the University of Memphis). Mr. McLean is a member of the Tennessee Society of Certified Public Accountants and the Healthcare Financial Management Association. He also serves on the boards of Health Choice, LLC, Wesley Housing Corporation of Memphis, Inc., Leadership Memphis and is Treasurer or Assistant Treasurer of Methodist Memphis and each of the Restricted Affiliates. Rita attended the University of Memphis and has been a resident of Memphis since 1970. She is the widow of William R. Sparks and a Licensed Commodity Broker. Ms. Sparks has been instrumental in forming Sparks Company, Inc., an agricultural research and consulting firm. In 2006, she formed her own company, Sparks Enterprises, LLC. Her civil experience includes being a member of the Board of Visitors and an ambassador of the University of Memphis, where she serves on the Athletic Advisory Board. She is Chairperson of the Baddour Center Board, board member of the Memphis Development Foundation, and the Campbell Clinic Foundation, past president of the Ronald McDonald House, past board member of Agricultural International, the Crescent Club, The Foundation for the Library, the Memphis Regional Chamber of Commerce, and Lausanne Collegiate School, a recipient of the 1999 Outstanding Volunteer Fund Raiser, member of the 1996 Leadership Memphis Class, appointed by a judge to a six-year term on the Tennessee Appellate Court Commission in 1987, and appointed to U.S. Presidential Rank Awards Review Board by President Clinton in 1994.